The history of British political thought has been one of the most fertile fields of Anglo-American historical writing in the last half-century. 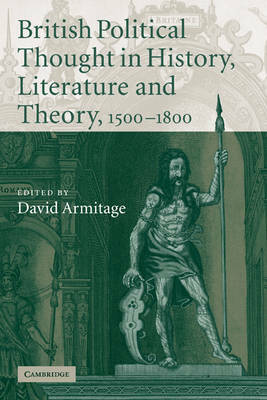 David Armitage brings together an interdisciplinary and international team of authors to consider the impact of this scholarship on the study of early modern British history, English literature, and political theory. Leading historians survey the impact of the history of political thought on the 'new' histories of Britain and Ireland; eminent literary scholars offer novel critical methods attentive to literary form, genre, and language; and distinguished political theorists treat the relationship of history and theory in studies of rights and privacy. The outstanding examples of critical practice collected here will encourage the emergence of fresh research on the historical, critical, and theoretical study of the English-speaking world in the period around 1500-1800. This volume celebrates the contribution of the Folger Institute to British studies over many years. 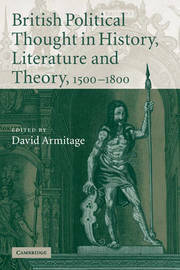 David Armitage is Professor of History at Harvard University.